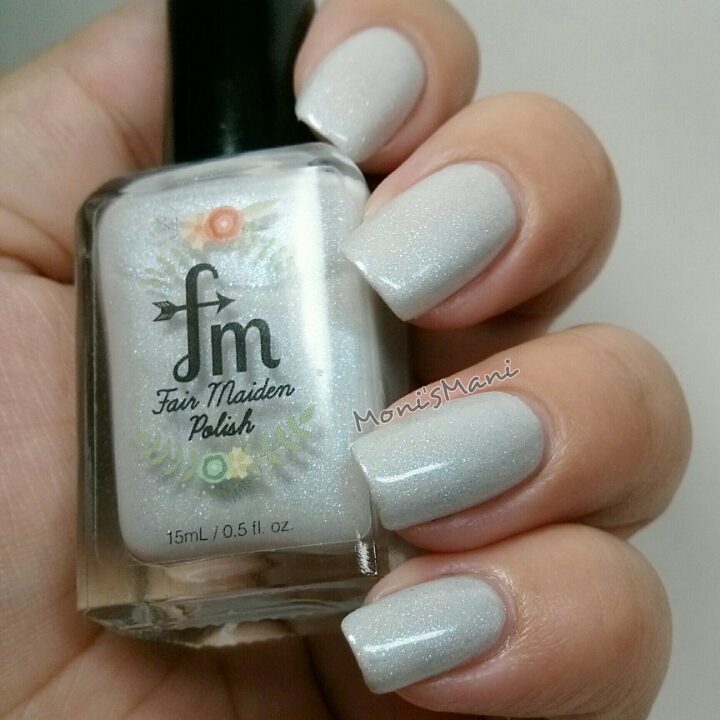 Today I’m bringing you my Black Friday purchase #2; the beautiful “Baby, its cold outside” Collection from Fair Maiden Polish. 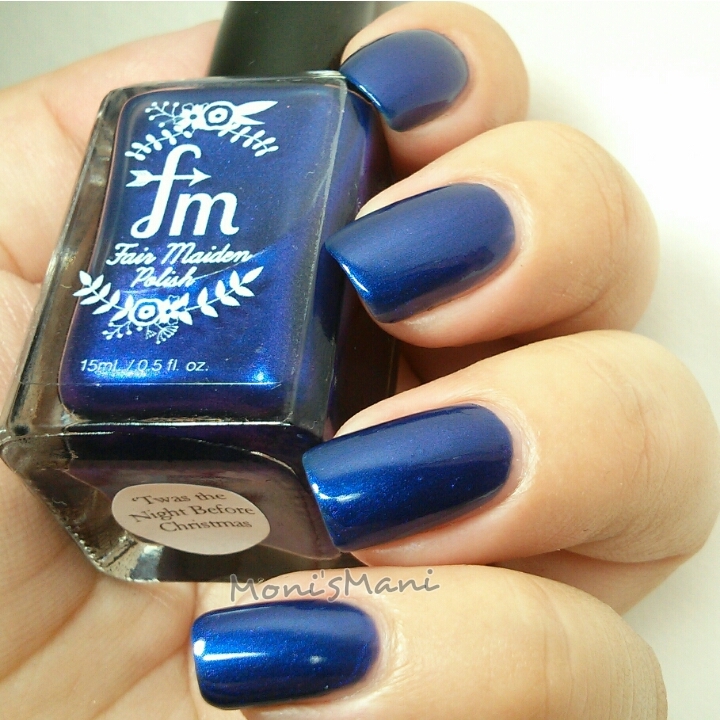 Like I told you on my previous Fair Maiden Polish review (which you can see here), this is a brand that I have been stalking for a few weeks so of course I had to take advantage of their BF deals and buy myself some beautiful polish! And here you see it with a matte top coat and stamped. *The Stars are Brightly Shinning- Holy cow!! this baby is packed!! 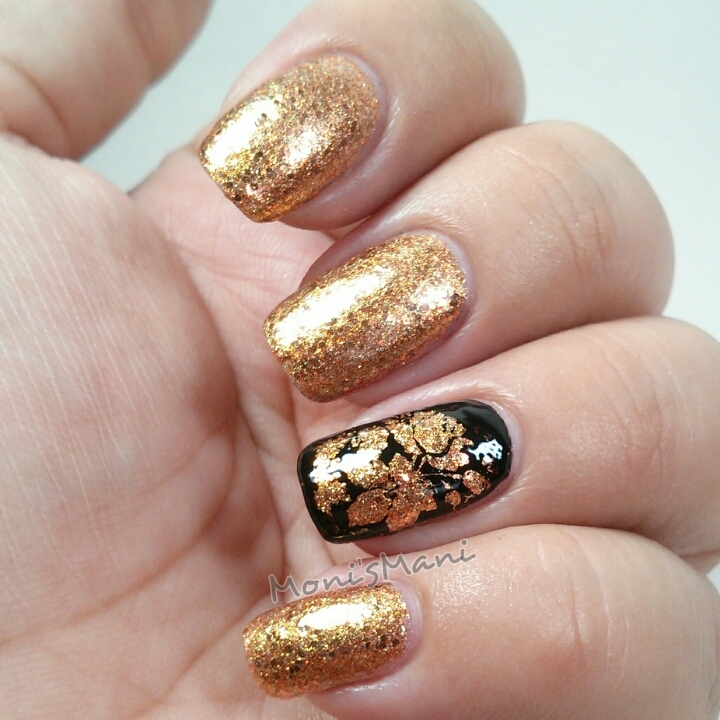 golden/copper glitter galore, opaque in two coats. In my opinion not for everyday use but YES for a special occasion in which you want to knock them dead! two coats plus top coat in the pics. *Merry Plum Berry and Bright- in my opinion this is the star of the collection. 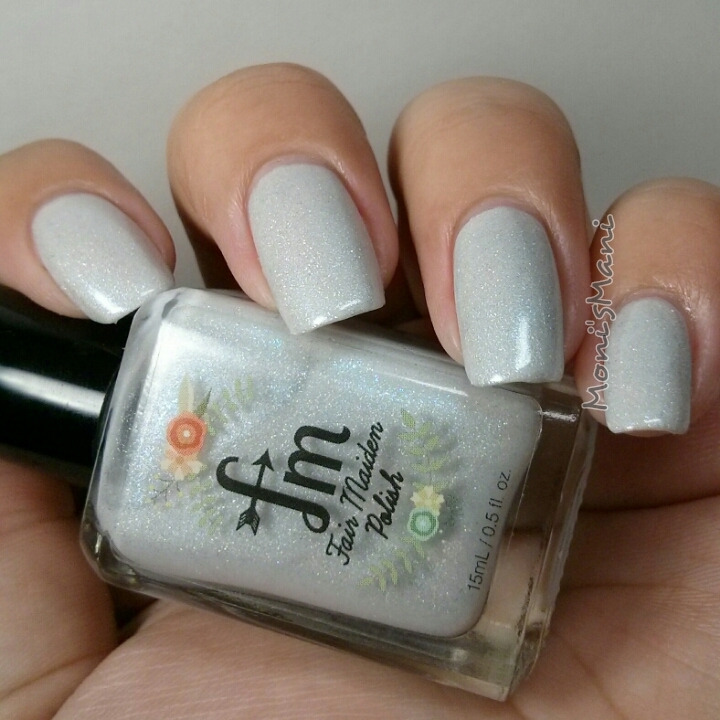 the holo in this beauty is perfect and the color is a beautiful shade of plum. So pretty!! Here you see it stamped on my accent finger using MoYou Nails plate 222 and some little freehand flowers on the rest. So what did you think of the collection? What’s your favorite of the four? pls leave a comment and let me know! I love talking to you! 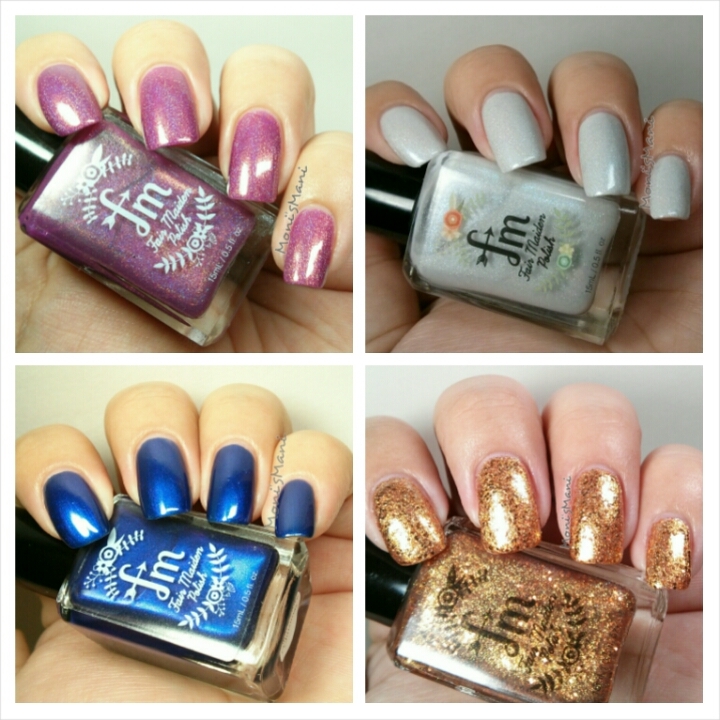 About Fair Maiden Polish: All polishes are 5 free, hand mixed, artisan nail lacquer. Every creation is uniquely crafted and tested a minimum of 90 days for quality. 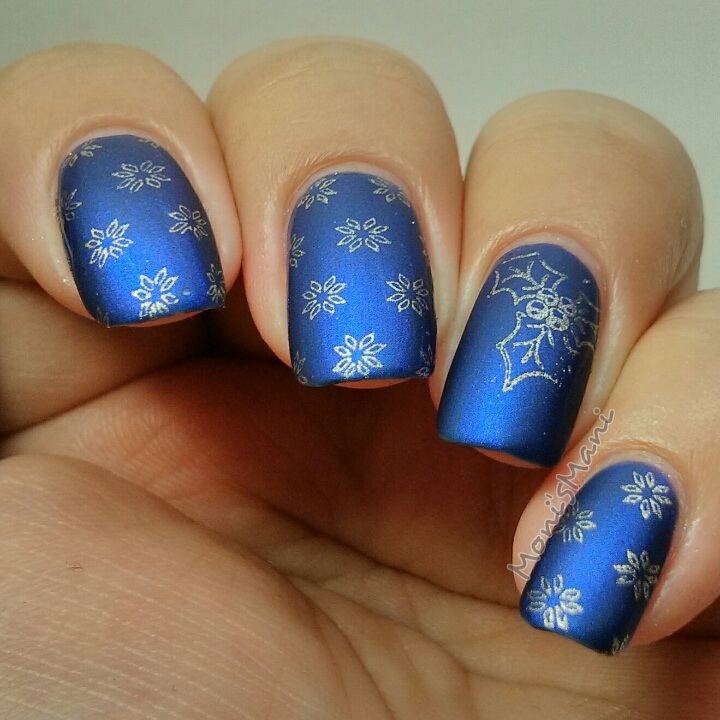 Wow, I love what you have done with the stamping an matte top coat over Twas the Night! Thank you so much!! And thank you for reading! !